Leading up to New Year's Eve and throughout the first week of 2014, employees of the Minsk municipal ambulance service launched a protest. They are demanding a raise in salaries and improved labour conditions. The healthcare sector in Belarus remains financed by the state and has one of the lowest average salary rates of any profession. Among its neighbours, Belarus allocates the smallest portion of its GDP towards healthcare, which has resulted in its gradual decline in recent years. This policy has led to a personnel shortage and has put considerable stress on the nation's healthcare services. Paramedics, who are subject to perhaps one of the most trying work environments, are the first to dare to openly voice their growing problems in public. The authorities in Minsk immediately promised them raises to mitigate the protests, but whether it will cause any systemic change remains, as yet, unclear. In recent years, the Belarusian government has allocated less than 5% of its GDP to healthcare, lagging slightly behind both Russia (who spends over 6%) and Ukraine (with over 7%). In most EU countries such allocations vary from a range between 7 to 11%. Healthcare in Belarus remains mostly state-financed, and private providers healthcare account for only 5% of the sector. It is true that both in Russia and Ukraine the healthcare system to this day is very similar to Belarus'. However, the percentage of private healthcare providers is significantly higher, and better the higher level of financing provided to employs who work in the healthcare system results in higher wages. For example, in Russia doctors who work in ambulances have an average monthly salary of $1,200, and paramedic staff makes around $700. In addition to their salaries, it is not uncommon for patients' to pay doctors' additional money out-of-pocket for their work. State media likes to show footage of new equipment that has been installed in hospitals across the country. This is not to say that this footage is doctored. Indeed there is new equipment being installed all over the country, but with wages for healthcare providers remaining very low, a situation may soon develop where no one will be able to use the new equipment in small towns. Although the government tries to introduce more fees for the medical treatment of its citizens, the healthcare sector cannot provide its workers with an adequate salary for their invaluable service to society. As the diagram below shows, healthcare providers have some of the lowest average salaries in the nation, yielding even to agriculture, which itself is a problematic and heavily subsidised sector. As a result, healthcare providers are experiencing significant hardship in Belarus. Many qualified doctors seek better labour conditions abroad, mostly in Russia, which for the most part is not a serious issue as medical education in Belarus is still considered to rather good. While others simply change careers, still a number of more altruistic individuals remain in the system and continue to do their job. Since the state runs the trade union system, the Belarusian Trade Union of Healthcare Workers cannot really press for improved labour conditions. Belarusians are very reluctant to organise themselves to fight for the changes they see as necessary in large part due to a fear of their contracts not being renewed for strictly political reasons, an all too common practise in modern day Belarus. However, recently healthcare providers have dared to organise a public protest, one that received substantial coverage from Belarusian media. The organisers, employees of the Minsk ambulance service, are protesting against very harsh labour conditions and unfair wages. Leading up to New Year's Eve they began to gather signatures on a paper petition to submit to the Head of the Minsk Ambulance Service, relevant trade-union and the Ministry of Social Protection. Beyond this, they were going to pass it to the Ministry of Healthcare, the Parliament and the Presidential Administration. In the petition doctors demand the establishment of a legal framework for employees of the ambulance service, social guarantees similar to those of employees of Belarus' security services and a raise in salary. As the former ambulance worker Viktar Piatuchoŭ shared with the TUT.by web portal, the Minsk ambulance service experiences a high level of staff turnover and is dealing with a constant shortage of workers. Their salaries are low, and those who stick around have to bear the burden of a heavy workload to make sure the service stays up and running. Many employees have to work overtime, though not by choice. These incomplete ambulance teams who are answering medical emergency calls cannot provide the full medical care that is stipulated by the law. Frequently, the best employees leave the service, leaving young people fresh out of university without any relevant experience, and who are sometimes unable to conduct simple medical procedures, to join the ranks of the ambulance service. Recently, it was rumoured that a foreigner who could not even speak Russian was employed on one of the teams. As Vital Ahiejenka, an employee at ambulance station no. 4, said to TUT.by journalists, their station is short by about 40% of the staff it needs to have to function properly. In these conditions, the administration forces people to work overtime and punishes those who refuse. “If you refuse the additional workload, it means you do not want to help the administration fulfil the norm and become their enemy”, according to Ahiejenka. Meanwhile, medical workers from other organisations and towns have begun to contact Vital. They have proclaimed their support and promised to add their signatures to a petition if the protesters will include all healthcare workers in their demands, since similar problems exist throughout the entire system. Another problem that paramedics and doctors face is the patients' behaviour. At times they are drunk, and frequently they shout at the ambulance doctors and even beat them. Sometimes, due to a personnel shortage, only a single female doctor may be working in an ambulance, and these kinds of patients can understandably become quite dangerous. Strangely, there is no legal mechanism to defend a doctor from these kinds of hostile patients, while hitting a policemen, for instance, would definitely end in a trial. The working environment for ambulance service employees is also rather dreadful. They have to buy all their own cooking appliances for their workplace, be it a microwave or a kettle. Moreover, they have to pay for all the materials needed for washing their vehicles, and even rubbish bags. After finishing work doctors are required to bathe, but at one of the stations that the journalists visited there was only one shower. In this shower, employees have to wash their work cloths and bloodied stretchers. One would be hard pressed to find any soap or toilet paper, as they tend to appear only when inspection commissions come review the stations. Ambulance paramedics and doctors even sometimes have to sew their own uniforms, as there exists no uniform service within the system. After various publications covering protests came out and interviews appeared on the Internet, the city's ambulance service administration responded to the claims made. It claimed that the published facts were false or one-sided. They stated that the salaries for employees of the ambulance service complied with the law, and that employees of the ambulance service also guaranteed protection against violence. Moreover, the administration claimed, many of the workers who appeared in the media had either discipline records or are new to the job. However, on 8 January representatives from the protesting doctors had a meeting with the Healthcare Department of the Minsk City Executive Council, the city ambulance administration and the Deputy Minister of Healthcare. As a result, a commission was formed which will examine the situation. A similar meeting with authorities also took place in Hrodna. 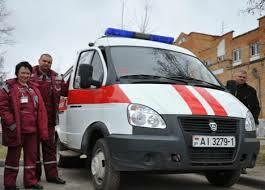 Soon thereafter, information appeared that the Minsk Municipal Department of Healthcare decided to give employees of the ambulance service a monthly raise of roughly $90 for 2014. However, in most regions, where options for employment are scarce, people fear losing their job, even with low wages and will not risk protesting their labour conditions. While most of doctors in Belarus remain passive, there is little hope for real change in the healthcare sector. However, Minsk can become a pioneer for improved labour conditions, something that can spread further – if the government takes the problem serious enough. Earlier this year, Belarusian media published an interview with Belarusian oligarch Iuryi Chyzh. The businessman predicts problems with the Russian economy, supports the diversification of Belarusian enterprises and states that Russia is grabbing the biggest piece of the pie in the Customs Union. Chyzh is right. Belarus remains too dependent on Russia economically: half of Belarus' trade is with Russia. The Kremlin controls the competitiveness of the Belarusian economy through its energy shipments, since without Russia`s energy subsidies Belarusian goods will quickly become too expensive. The Kremlin further binds Belarus with its integration projects and imposes its own interests, keeping the Belarusian authorities on the energy needle. If Lukashenka`s regime fails to modernise its economy and diversify its markets, Belarus will stagnate together with Russia. 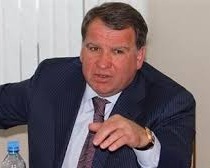 Iuryi Chyzh​ is one of the most influential businessmen in Belarus and has a close relationship with Lukashenka`s team. The European Union sees him as the regime`s purse and imposed economic sanctions against his companies back in 2011. That is why his statement favouring diversification from Russia is important, since it broke with the regime's typical pattern. The under utilisation of Belarusian enterprises’ functional capacities happens mostly due to Belarus’ huge economic dependence on Russia. A worsening economic conditions in Russia significantly affects the Belarusian economy. The International Monetary Fund forecasts 2 per cent growth for the Russian economy in 2014. Belarus` trade addiction with Russia may become a great threat to the financial stability of Belarus as the economic situation in Russia worsens. In 2012, Belarus sold to Russia tractors and tires, trucks and cars for more than $ 3bn. There have been no precise results for 2013 disclosed so far, but for sure they will be worse than in 2012. This year, Russia introduced a recycling tax on cars. The losses for Belarusian truck producers may allegedly have reached as much as $ 350m. The Belarusian Ministry of Economy predicts the demand for industrial products will continue to decline. This is in large part due to the fact that half of the Belarusian trade remains a trade with Russia. Oil products produced from the raw materials that Belarus receives from Russia remain a half of all Belarus' exports to the EU. The competitiveness of the rest of Belarus' exports is still in Russia’s hands, as Russia`s energy subsidies make Belarusian goods cheaper through lowered production costs. The Kremlin may potentially raise the price of natural gas for Belarus, which will automatically lead to a significant price increase of Belarusian goods. This would essentially signal the possible collapse of Belarusian exports to Russia and other countries. The project of the Union State launched almost 15 years ago laid tight economic integration but brought little convergence results. Kremlin`s institutional control over Belarusian economy has increased significantly in the recent years, with the accession of Belarus to the Customs Union. Two cases became good illustrations of how Russia forces its partners to adopt the Russian rules of the game. Since 1 July 2011, the Kremlin forced Belarus to protect the Russian car industry and to raise import duties on cars, on average, by four times – to the level of Russia. Moreover, the vast majority of customs rates are de facto Russian and reflect Russia's national interest, not Belarus' or Kazakhstan's. This year, 1 July 2014, Belarus will oblige local businesses to pass a complicated procedure of certification of goods that can lead to the bankruptcy of some enterprises. In practise this means that the businesses will be forced to give some of their goods for examination, after which the goods may not be suitable for sale. Belarus does not get what it wants most – abolition of the 36% duty for oil products, made in Belarus and sold to third-party countries. In 2012 Belarus paid $ 3.8bn to Russia for these duties. Though both countries are in the Customs Union, the Kremlin does not cancel this duty for its struggling ally. Repealing this payment could solve a significant part of the economic problems in Belarus. Though the Customs Union does not look very profitable for Belarus, Russia lifted a great number of the barriers facing Belarusian companies. The absence of economic wars, previously so frequent between the countries, proved precisely this point. Moreover, Belarus receives energy resources at low prices from Russia, and therefore has to put up with Kremlin`s grabbing of the biggest piece of the pie. If the state of the Russian resource based economy gets worse in 2014, Belarus will look attached to the sinking stone. Russia's position as a major investor in Belarus and an important player in the banking sector strengthens dependence of Belarus. According to the National Statistical Committee Russia remains the main investor in Belarus, putting in about 50% of the investments. United Kingdom sits at the second place and Cyprus holds third – for countries that Russian businessmen like to register companies in. According to Agata Wierzbowska-Miazga of the Centre for Eastern Studies from Poland, Russian banks have become the largest source of foreign currency loans for Belarusian companies. BPS-Sberbank, BelVEB, Belgazprombank belong to the largest commercial banks in Belarus. Russian businessmen control seven of the 31 banks in Belarus. All these banks bring in profits. Thus, Belarusian dependence on Russia in the economic sphere remains so strong that it seems unlikely Lukashenka will start a real conflict with the Kremlin. However, the idea to diversify Belarusian exports is becoming rather popular among Belarusian officials as well. Belarusian diplomats had an active year improving ties developing countries in 2013 and will open new diplomatic missions in nine countries such as Qatar and Mexico. However, the problem of Belarus is not just one of a desire to diversify its markets, but also about possibilities to do so. Many Belarusian enterprises look too obsolete. If the authorities fail to carry out the modernisation of enterprises and economic regulations, they will convict a great part of the enterprises to stagnate together with Russia. However, Russia is in the World Trade Organisation and many Western businessmen continue to transfer technology and invest in Russia. The Belarusian economic situation remains much worse.